Byron Hammond of GVA gives his analysis of what’s to come in 2018 for the South West’s industrial property market. 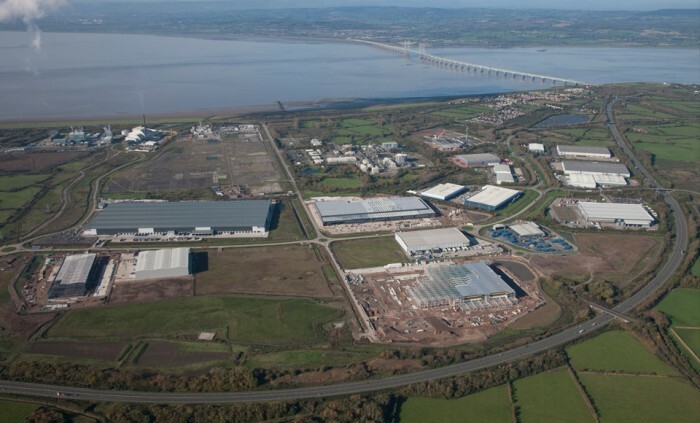 As the South West continues to be a big draw for inward investment across the sectors, at GVA we are expecting another period of strong take-up in industrial property during 2018. This follows a strong 2017 in Bristol’s industrial market with take-up of 2.9 million sq ft (source: IAS). In the first six months of the year alone take-up stood at 2.158 million sq ft, with 41.23 acres of development land transacted, equivalent to the full 12 months’ take-up figure for 2009. This was boosted early on in 2017 by two mega warehouse deals for Amazon and DHL, totalling 1.4 million sq ft, at Central Park, Western Approach, in Avonmouth. It was Central Park that saw the majority of the region’s activity throughout the year, with the full potential of this UK-significant scheme still to be realised following the recent start of works for the new dedicated M49 motorway junction. This activity looks set to carry into 2018, with a long-awaited speculative development push across the region’s main locations, as well as flexible and resilient industrial space being very much the chosen asset class for property investors throughout the UK. The South West’s industrial sector has proved resilient in light of the continued Brexit uncertainty and we envisage that as trade negotiations advance, we will see increased certainty in the market and therefore further investment in the sector. Furthermore, manufacturing continues to strengthen in the UK, with the weakened pound benefiting the UK’s competitive edge. The South West in particular is known for its expertise and clustering in the aerospace industry; two of the largest companies in the area, Airbus and Rolls-Royce, announced securing large contracts in late 2017. At Horizon38, one of the most exciting speculative commercial developments in Bristol, buildings are now available on their doorstep with 580,000 sq ft of factory and warehouse space being built there within sight of both the Rolls-Royce and Airbus facilities. Further to this, the scheme in Filton also lists a new hotel under construction, car retail proposals, and opportunities for office development alongside the A38 and directly opposite YTL’s Filton Airfield housing project. However, with steady take-up throughout 2017 and speculative space only just beginning to come to the market, we have seen a continued decline in available prime leasehold stock and a noted lack of freehold stock in the region, with demand significantly outstripping supply in both. Several new schemes are being progressed, however we foresee the lack of supply in some locations continuing throughout 2018 causing upward pressure on rents. The most difficult prediction is the impact on the economy from the scrapping of the Severn Bridge tolls in late 2018. We may well see the blending of the South Wales and Bristol property markets, with occupiers and employees able to navigate the Bridge (in both directions) without having significant financial implications. With commercial property values in South Wales up to 50% of those in Bristol, there could well be winners across the water as the hurdles disappear, but it is unlikely to be at the cost of the M4/M5 markets in the long term, as demand continually outstrips supply across the whole region.